Travis Macy has summited glacial peaks in the French Alps, rappelled into limestone caves in China, and raced through parched deserts in Utah. 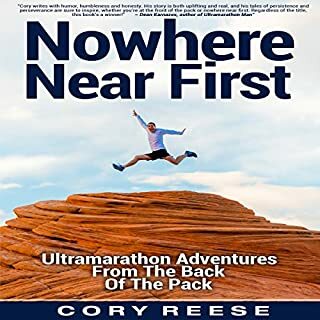 In 2013 he famously won the Leadman Series, a combination of nearly 300 miles of high-altitude trail running and mountain biking over the course of five epic endurance races. Macy achieved all of these victories without elite professional training or even exceptional strength, speed, or flexibility. His secret? A precise outlook he calls the "ultra mindset", a set of simple principles for daily life that includes embracing fear, rewriting the stories we tell ourselves, and mastering the art of asking for help. By practicing these principles in all areas of life, anyone can successfully achieve goals that might have otherwise seemed impossible. 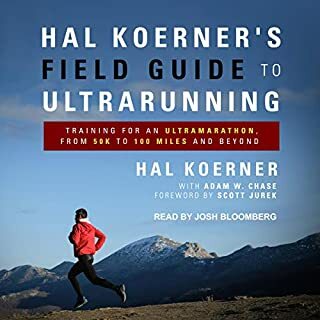 Where does The Ultra Mindset rank among all the audiobooks you’ve listened to so far? I thought it was well done, had a ton of good ideas for the average athlete. This is an easy, short listen but well worth the time. 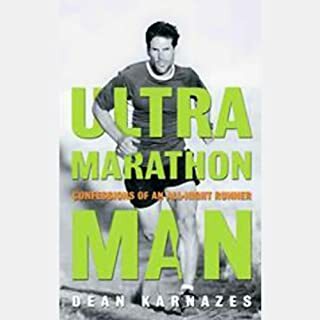 What other book might you compare The Ultra Mindset to and why? My Life on the Run, Eat to Win, Born to Run were similar in tone. What sets this book apart is that all of the ideas can be used by the amateur. Don't be put off my his ultra credentials if you are a weekend runner. The concepts are adaptable and they work. What does Brian Hutchinson bring to the story that you wouldn’t experience if you just read the book? I thought he did a good job. He didn't wound too polished, which lent credibility to the reading. This is not a literature book, its more of a memoir and he did a great job. I never listen in one sitting, but this is a short book and got through it pretty quickly. It was enjoyable. There are a lot of running books and most are not very good. Many are just a recap of a freakish athlete and their accomplishments. As an amateur athlete who does Spartan Races and marathons I am looking for inspiration and information I can use to further my humble goals. This book provided that without any fame adulation usually associated with this category. I recommend this book to any amateur athlete who wants to improve their performance and mindset. Well done. Very practical methods of acheiving goals, delivered by the author within the frame of ultra endurance sports. Travis Macy shows how he came to live these steps and goals and the falls along the way. It's not just for athletes - I enjoyed the book but will still never run 100miles! 80% autobiography 20% self-help motivational text. While I think this was an interesting approach for a book, I happen to think that most readers will fall into the camp of either appreciating one or the other. As a runner, I would've liked to of heard more specifics about the author's training and diet plans. Training for the Roof of Africa enduro motocross race, "The Ultra Mindset" really gave me some insight in terms of how i can motivate myself with the prepration for the race as well as the mindset which I need to adopt during the race. 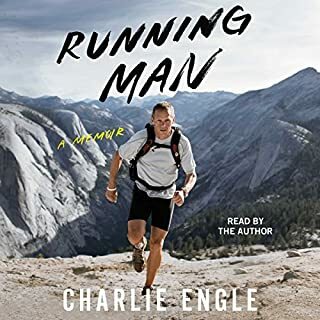 Travis's stories and views are insightful and entertaining, giving the reader something to think about not only in terms of races / training but also life in general. Thoroughly enjoyed it!!! Not as much time and detail was spent on the "mindset" as I had hoped. Mostly his experiences and stories from different races, which as a noob, I did find very fascinating, but I didn't get out of the book what I wanted. He did mention several resources and websites that I'll be checking out that seem helpful. 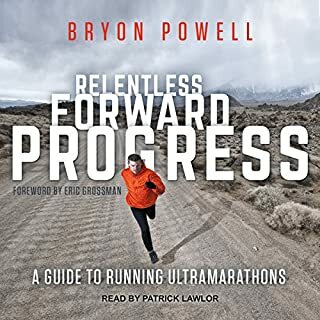 Complete respect for the author's accomplishments, but was hoping for more info that could be applied to us mere mortals who are crazy enough to participate in ultra running. Travis delivered crazy good stories, yet like the past 6 audible books, not enough practical substance/strategies the average person could take away. This was what I was hoping for. Turley the ultra mindset is taught here. Incredible stories. This is a book written by a guy who has been there and done it with bells on. He offers practical insights into why an ultra mindset can be applied and be extremely useful in day to day life. I really enjoyed this book and would recommend it to anyone who struggles with prioritising goals and developing a more positive outlook on life. this book can be applied in so many different parts of ones life and a inspiring listen. Think a possible average book with very few principles was taken below par by the narration. 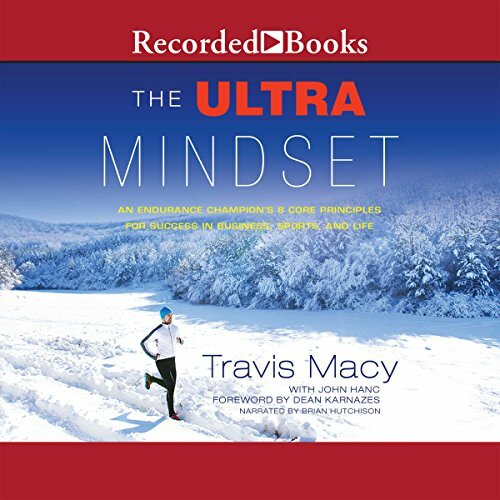 A tough listen - but more about the Travis Macy career than principles of an ultra mindset. Maybe just a wrong title for the book; but wanted more from this. 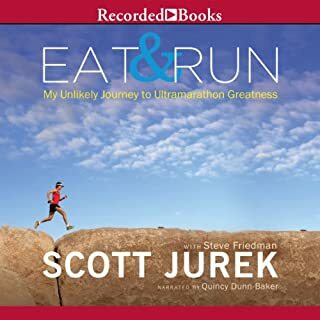 It was just ok.some good bits.some boring.born to run.best running book I have ever read.some ultra runners won't mention scott jureck.seriously.we all have are own opinions. Oh dear. I wanted to really like this book, but having finished it, I can't really remember what it was about at all. It's part auto-biographical, part "how-to" manual, but doesn't really work on either level. What was most disappointing about Travis Macy and John Hanc ’s story? I find that I have very little in common with Travis - It just didn't connect with me. Did The Ultra Mindset inspire you to do anything? Find another book to listen it? Maybe that's a bit harsh, but there are many far better reads out there. A perfect blend of story telling and practice! Great visuals and training techniques in a way that was down to earth and approachable. His story was relatable, and funny, and provided stepping stones to set up for a similar success. Made us sea level dwellers yearn for the mountains. Good narration as well! LOVED it.